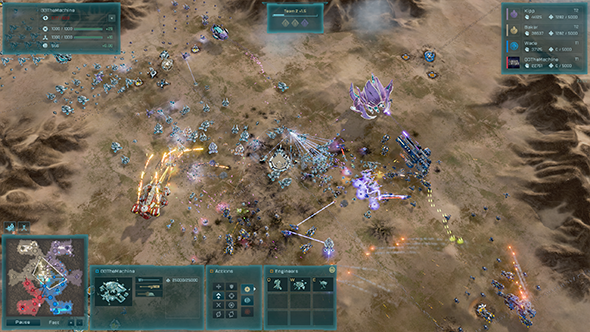 Ashes of the Singularity: Escalation has done a bang-up job of carrying the banner for the likes of Total Annihilation and Supreme Commander, and regular updates along with free DLC have helped to keep it going strong. Stardock have another set of updates going live today, and here’s what you can expect. 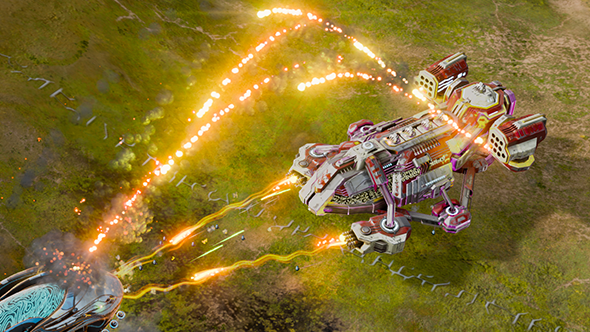 Looking to take supreme command of your forces and totally annihilate your enemies? 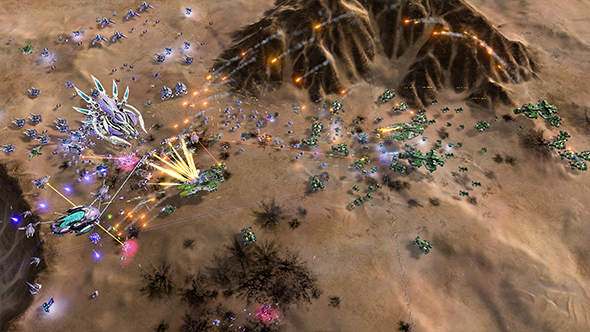 These are the best strategy games on PC. The free Juggernaut DLC will add a pair of new warships to the game. The PHC Agamemnon is built to take on swarms of enemies and overpower their defenses, but it lacks the capability to take on bigger enemy ships. The Substrate Eye of Darkness is devastating against ground units, ripping apart matter itself to sow destruction, but it’s incredibly weak to flying enemies since it lacks any anti-air capabilities. In addition to the new content, the 2.5 patch will see a selection of gameplay and balance improvements, as well as a big convenience for prospective modders. Escalation’s file system will see some changes that will label unit files much more descriptively, finally changing the placeholder names that have been with the game since development. Additionally, every unit in the game is getting an increase to sight range, offering better opportunities to scout and manoeuvre, and frigates will be getting a movement speed increase so they can better harrass enemies. For a full list of changes, have a look at the official patch notes. Both the 2.5 update and the free Juggernaut DLC are live today, following a similarly meaty 2.4 update less than a month ago.